Awesome day @ the SKU Nationals in Sheffield today. We are so proud of everyone who entered even if you didn’t manage to win a medal. In total we can away with 21 medals. 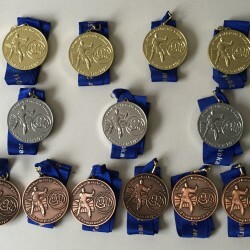 6 Gold, 5 Silver and 10 Bronze.